(1) The dial or circular portion of a postmark used by itself as a cancel. A stiff piece of paper, cardboard or plastic found inside a first day cover. It provides necessary stiffness for a clearer cancellation. It also protects the cover from bending when it travels through the mail stream. Fillers, also termed stuffers, occasionally are imprinted with an advertising message or information pertaining to the stamp or cachet on the cover. (1) Of or related to the Federal government. 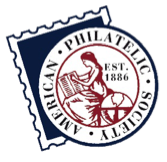 USPS postmarks are official markings. (1) A cachet produced and applied by or for postal administrations. Official cachets are rare on US FDCs but are common for many other countries. (1) Plate number coil, ie. a coil stamp with a plate number thereon. A name or identification assigned to a cachet line by the producer. Example: Washington Press produces Artcraft Cachets.